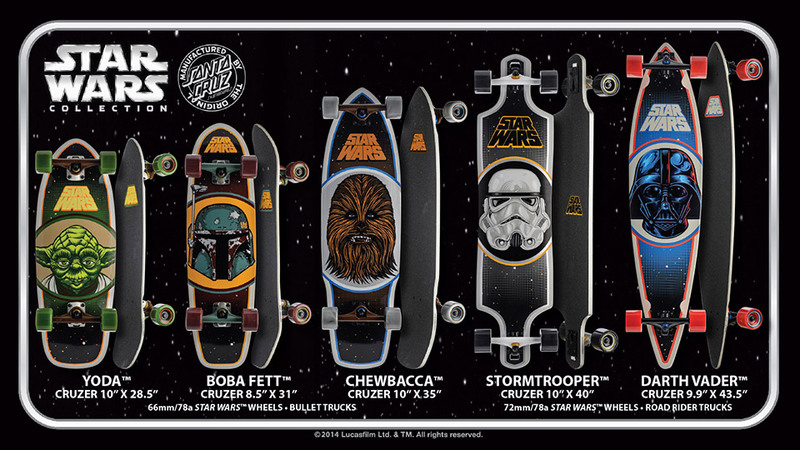 If you picked up a pair Star Wars-themed Vans sneakers then you need a Star Wars skateboard deck to complete the set. 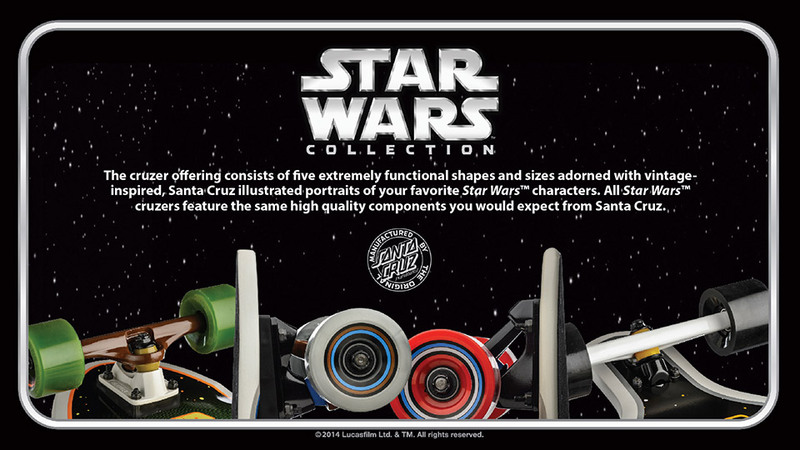 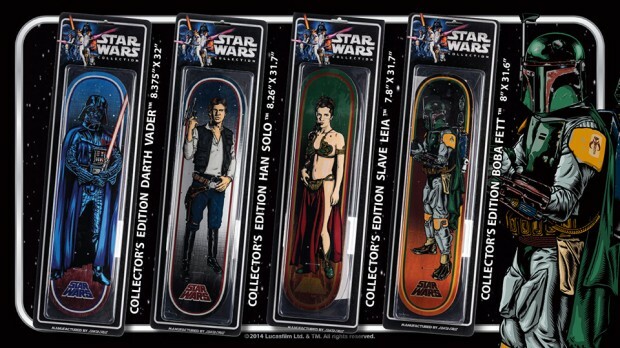 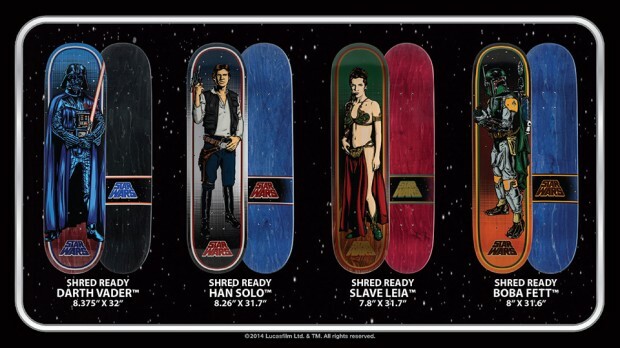 This limited edition set of Star Wars decks and complete cruzers are available from Santa Cruz Skateboards. 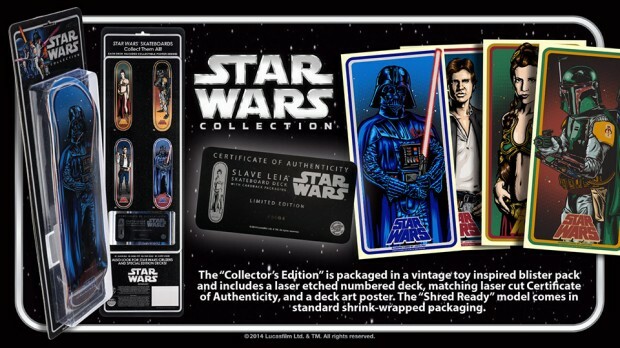 The decks are available in a “Collector’s Edition” which includes a vintage toy and a laser-etched numbered deck and the “Shred Ready” model is just shrink-wrapped and ready to hit the pavement. 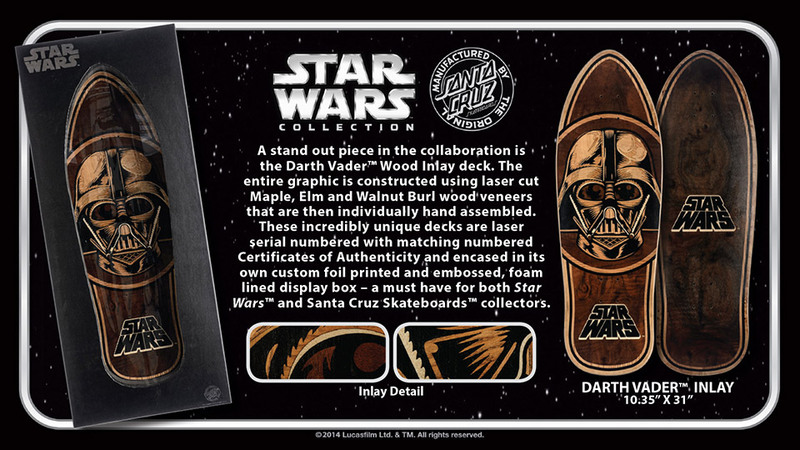 The awesome Darth Vader Inlay board is made up laser-cut maple, elm and walnut burl woods assembled into the iconic Jedi Master’s likeness.